in the beginning (when our alba was only a tiny growing flower) we travelled over seas and continents to the city of love. i was shooting the next billabong campaign and m was making a short film. i was only nine weeks and tired, my belly hadn’t begun to swell yet so i hardly believed i was growing a person inside there. there was so much happening around me that at that moment i couldn’t take it in. when we arrived in paris it was fête de la musique (the day of music). the streets were overcrowded with delirious french youth, swaying and singing along to the musicians in the parks, the instruments with minds of their own. it was wild and every person was an animal. unthinking, free. m and i sat with the models and the u.s billabong team in a little restaurant on a street corner. i ate strawberries and cherries for dinner because all i craved was fruit. we shot, we filmed and in the morning we left early to fly to biarritz. we only had that single night in paris, but the living flurry of the music and young streetlight-lit faces will always come to mind when i think of it. 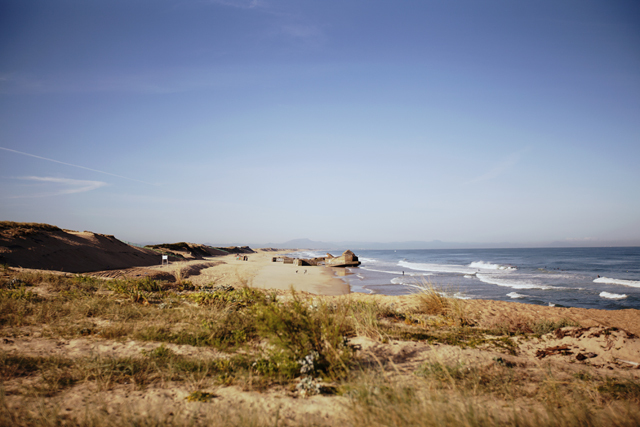 we visited the french seaside town of biarritz next. we shot from the moment the sun rose until all the light had gone and sometimes beyond. sleep was short and dreamless and when i closed my eyes i felt my fingers tight around the body of my camera; i watched the day’s memories through a viewfinder. m was selfless and slept even less than i did. he’d stay up very late; clearing cards, charging batteries, selecting images and packing for the next day of shooting so me and baby could sleep. it felt endless, my camera was an extension of myself and i ached for it. it felt good though, pushing myself and letting my passion get the better of me. this is who i am after all. there were three models, all around my own age. two were californian musicians. they’d put on impromptu concerts in stations waiting for trains, by the beach in-between shots and in their hotel room when the day was out. it’s what i adore, music for the love of music, completely unabashed. they were so interesting to learn from and to photograph. you can get right into someone’s soul photographing them, so much quicker than befriending them. it’s a connection that’s difficult to explain until you feel it. we were only in biarritz for a few sun-soaked summer days before getting a night train to another town (here is where i lose the names, as we shoot in a new town each day or two). but i remember that night train well. the narrow, barely lit corridors, foreign whispers and men asleep against the carriage walls. i was exhausted to my bones and so sick. everything frightened me. m held my hand, the warmth of love filled me and somehow i fell asleep slumped against the cabin door. when i woke there was shouting and rushing, suitcases dragged over my feet. suddenly m was helping me off the train into blindingly bright platform lights and a world thick with cigarette smoke. a derelict, concrete station where we had a vending machine dinner and waited for our next train. my next memory is piling out of a taxi onto an empty road before a hotel somewhere in italy, falling in and out of sleep on the couches at reception. every night the whole team would eat at beautiful restaurants. anything and everything we liked, the most wonderful european food. with sleepy goodnights, we’d go back to our hotel room and m would run a hot bath for us to sink into. we’d talk about shooting, about our child and about the beauty of whichever european city we were in that day. on the cool hotel sheets we’d cuddle all warm-skinned and clean and i’d fall straight to sleep, holding my growing belly. it was these precious things that kept me sane through the long days of shooting. italy shined even more brilliantly than france. when i photographed strangers here they didn’t yell and swear at me, they just smiled. in monterosso, cinque terre our hotel balcony overlooked the endless beach with rocks rising from the sea like creatures and bright-colored umbrellas like growing flowers from the gold sand. everything was the picture of summer. one midday when we had time away from shooting, matt and i bought gelato (quickly melting down our fingers) while walking down the beach collecting stones. i sat in front of the water and wrote in alba’s journal that the prettiest would be hers and that i would collect things from all of our travels for her. the water reached up and swallowed my feet and i laughed and felt so connected to this little being inside me, who i would one day introduce to the ocean. me, catherine and the roses m bought us all. one day we hired a handsome boat to shoot on. for a while i sat on the bow, my toes skimming the surface of the sea, entirely bliss. we’d pass all of the old, hillside towns that made up cinque terre with their tall houses turned pastel from paint faded by hundreds of years of sun. i saw an old steam train billowing cloud disappear behind a hill and felt everything in my life fall away. all there was was the moment and the immense beauty of it. the rest of italy was standing on a red roof in firenze city, street ballet at night, laughing in candle-lit restaurants, boutique hotels, chasing light with the models and recognising the colossal sculptures in awe through the taxi windows. the old world. the flight home was long and i fell sick. the sickness welled up where i imagined my little one laying and i prayed she wasn’t feeling any hurt. i put my palms over her and i sent her all my love and warmth. i imagined the day i would hold her and look into her eyes and it made me cry. she was mine and i’d do anything to keep her from hurt. on the long train ride back to the mountains i fell asleep with m holding his hand over our alba. i dreamt of the places we’d take her when she was born, and kept imagining long after we’d arrived. i can’t wait to show you the world, baby. Your work is amazing! you show me the world in a magical way. That´s amazing the work you share with all of us with your pictures and writtings. I am enjoying your blog so much. What a lovely reminder that life is to be lived, every day. I had my first child when I was quite young (also born at home) and we traveled around southern Italy when he was 2 months old for 6 weeks. I carried a backpack with his diapers (which I washed in a sink or bucket and hung out to dry) and our clothes. I left my sling carrier at home because it seemed too bulky, & his dad and & I carried him in our arms. His first swim was in the Adriatic sea. Have a beautiful day with sweet Alba. I love your photographs! you and your boyfriend are truly talented! 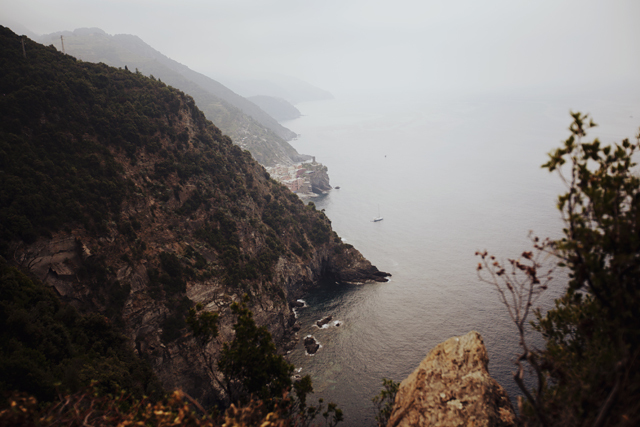 really really nice shots, i havent explored italy as much as i wanted to. your scenery and local pics are amazing. Just stumbled on your blog, so happy I found it!! in this post I love especially the one where you sit at a nowhere trainstation, I wish you all the best for you and your baby and your bf/ husband! I follow u! Aw, great pictures. I love it! Amaeing pictures ? Are they all from you ? i want to read more of your words. i drink them like water. FLAWLESS!! !when are you going to post some more? Beautiful photos! Congrats on your new bundle of joy. Follow me back at http://www.cinchedatthewaist.com and participate in our December giveaway! your pictures are stunning! What camera do you use? Beautiful photos. I can't say anything else. and your photo story are also beautiful! Incredible, amzing, beautiful, full. LOVE IT ALL! Alba is such a beautiful name! Your blog is so wonderful !!! I love all these pictures , and the pepole ,sunlight, the sea , architecture and so on . You are one of the most stylish bloggers I've ever seen . Super love !! Such a beautiful place, those photos capture it really well!! i love the photos so much! wow. I just don't know what to say..you're photographies are stunning. seriously. you are talented. this looks like a beautiful life ! Wow, fantastic images you got here! I am a dnish photographer. I love this. The beaches, the sand, the balconies, the sunflowers, the people, ….the reality of all. Thank you for providing such beautiful pictures to truly admire. My love to you, Adrienne. And the Pics are awesome – i really like it ! which filter did you use in these?? Are these all your photographs?! Absolutely stunning. keep up the amazing work, i will for sure be following and checking back! theses photos are so beautiful, each on of them has something so interesting. Amazing photos! I love them! nirrimi please keep posting about your beautiful and inspirational life. your words and your pictures turn my computer screen into a little window of joy. you are unbelievable and amazing! i click on your page/blog really often, always waiting for new pictures. it's always a pleasure to look at them! these colours, depth of field…. simply everything- thank you for sharing them! what camera are you actually using? i follow you, please follow me back ?! what do you do when people yell a you for taking their picture? ah, your life seems to be so amazing, and i love your pictures ! ah belle, you look so young and beautiful. Stunning pictures. Just discovered your blog. What a find! I love it! You are very creative and I love your style. Such poetic words and beautiful, beautiful pictures. I'm so in love with the way you tell stories and the small details you cherish in life. timtam: the campaign is not yet out- so i'm not allowed to share it anywhere unfortunately. i should be able to in december. if you're not here for my personal posts, that's fine. but others are, and i'll continue blogging about my life for them. yawn. where's the pics of your work? your work makes me happy. thank you so much for sharing and made my day better. You have such a different life from mine, and it's really cool to see you following your heart, especially in the case of Alba. I think it's awesome that you are letting yourself know what's right instead of looking to society for answers. And sounds so perfect and romantic for this beautiful child who is already so loved! And I can't wait to see your world through her eyes. Oh! And you met Mandy from Oracle Fox! You guys must have gotten on like long lost sisters!!! As mentioned on facebook, Nirrimi, specifically the part where you speak of collecting stones, giving Alba the most beautiful, and collecting all sorts of treasures and writing a diary for your forthhcoming child about all the places she has been . . .. it brought tears to my eyes!!! And you are wearing red lipstick in that shot of you laughing!!! I can just notice it!! Fabulous! These photos are so touching. You always capture the best depictions of the world around you, such artistic sense. You AND M!!!!! Great post and really amazing photos!Liked it! Terrific photos and post. Very intimate but wonderful. Thanks for sharing. i was so, so happy to see this new post. it's beautiful and lovely as usual and i'm so glad that you exist to share these incredible words and photograph's with us. It is so refreshing to know that somewhere in the world, a beautiful and wild soul like yours exists. this is so beautiful!!! I can't wait to see the pictures and introduce alba to us 😀 you'll be some great parents! I went to cinque terre last year and I said to myself that someday I'm gonna buy a place to live there, it's like heaven!! The trip sounded wonderful, you are so lucky. I'm so glad that you're able to have these amazing experiences! It gives me hope. nirrimi, this post was so beautiful, your words and your photographs mix together to create the most amazing story! thank you for sharing! Your photos are so amazing. For a moment, I took a moment just to realise how beautiful the world actually is. Your photos are so inspiring. oh nirrimi this is just so full of beauty. it's so exciting to finally know it's alba who's growing inside of you. after all these years of reading blogposts from you, either here or in dA, it just seems so magical, the way your dreams have come true. the world loves you. you are definitely one in a billion, i hope you know that. we're all proud of all you have accomplished, and yet, it's funny to think this is just the beginning. many blessings! these are amazing you are so talented. Just amazing. I stopped and stared at every photo. the south of france is overwhelming, i've also been there. this is amazing! i m so so happy you blogged again and can't wait the part two. you are special. and alba, wow can't wait to see her! It looks like you had a great time! I love these photos they re so energic and natural at the same time! i love the name alba. i first heard of it in a book by isabel allende, one of my favourite writers. you're extraordinary. and you'll be soon on my blog if you don't mind. …like a book , that I keep reading. and your photos take me on a journey . you guys will be wonderful parents. I am constantly stunned by your photographs, you're a true inspiration and some day I wish to be as good of a photographer as you. i travelled through very similar places this summer (as i do almost every year). i hope you had a chance to see the best of europe, it seems you did. the atmosphere of these cities is so unique. I love how the way you see and share the world with us. i was there,too. 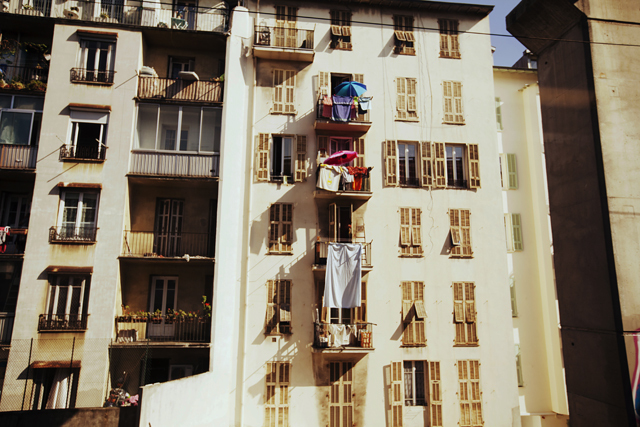 Italy is so wonderful and cinque terre,too :)) your photographs are just amazing,really! i can't quite express the connection i feel with your life. following your journey for so long, your work being one of the things that first influenced me to pick up a camera and find my passion all those years ago. i feel as though we are friends whom have never met, i feel as though i know you better than some of the closest people in my life. this all sounds a little odd, but i'm just so happy for you. sometimes when things are tough for me, i like to imagine your life and how wonderful things have turned out for you. beautiful things happen to beautiful people nirrimi, you have blessed so many lives, and you deserve this blessed life most. There is so much love and beauty in this post. Thank you so much for the wonderful morning which you'd made it mine. You make the world feel so beautiful. And your baby is so lucky. alba… such a beautiful name! Reading your blog, looking at every single photo of yours are really pleasant for me. 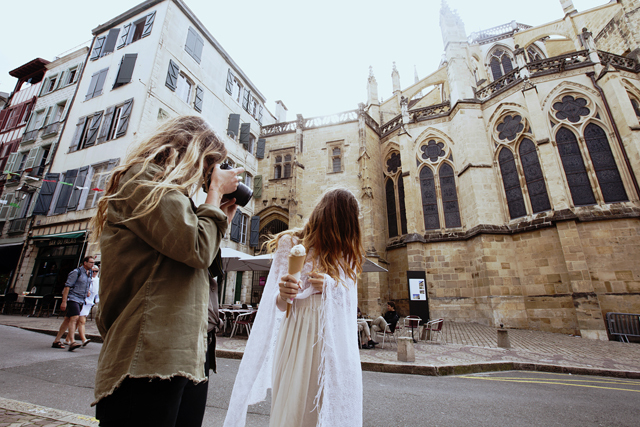 I like the way you take the photos of the world so much. hey girl:) congrats! I bet you're gonna be a great mum. and such a beautiful story.. your writing is amazing. And the pictures.. it's like a picture should have been like that a long time ago. Amazing photos…I love all of them!! !Looks a great experience. I love the way you see this world..